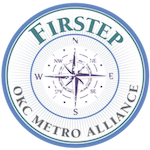 Upkeep of Firstep men’s recovery center is the responsibility of the residents who cook, clean and maintain the grounds. Oklahoma ranks second in the nation for substance abuse disorders, including alcohol, at 11.9 percent. State officials estimate between 700,000 and 950,000 adult Oklahomans need services, but most are not receiving the care they need, according to a 2017 study by the Oklahoma Department of Mental Health and Substance Abuse Services. And the problem appears to be growing.